Seems to me, that it was Saturday just a few days ago; I guess time passes quickly when your having 'fun' in this crazy world of ours. Here's another pic or two from my personal files. Thanks for visiting and commenting @ayushjalan . They live/have lived a tough life out on the streets, so I'm kind of happy they remain cautious of humans...there are some very evil human-like creatures out there who'll do harm. It makes complete sense of them to be so reserved even around you since they had been treated horribly by other humans in the past. But hey, at least you're making progress and slowly bonding with them. We need more people like you who adopt, rather than buy pets. Yes, I'm not insulted by them taking a long time to fully trust me, not knowing how tough their earlier years might have been in a home or not. 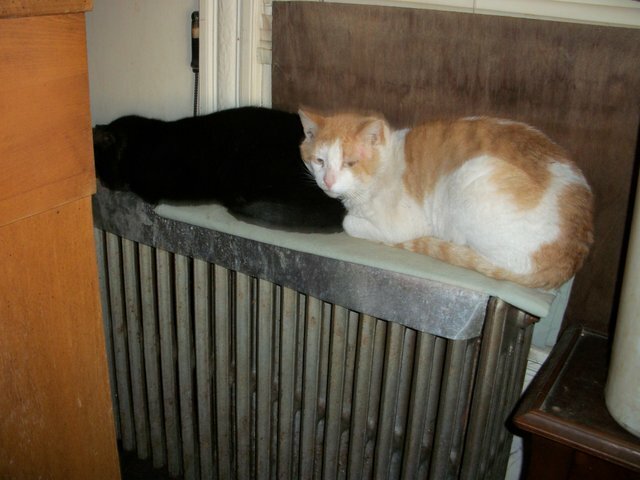 They look pretty happy to have a warm spot... it's interesting how "friendly" cats can become when they have a warm spot (like the top of a heater) they have to share. 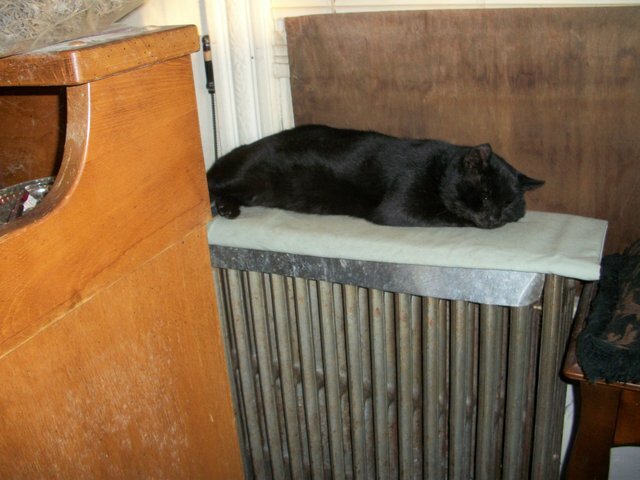 Usually they take turns atop the heater, depending upon who gets here first, or simply by choice. 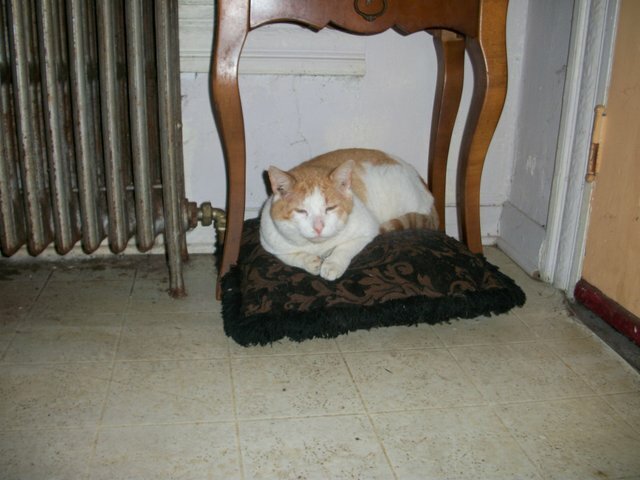 I have two pillows on the floor next to the radiator as an alternative warming spot.